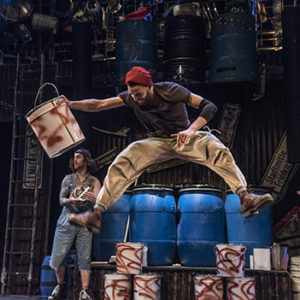 Showtime Management & BBC Brit Present STOMP. 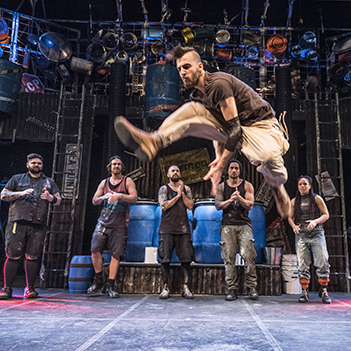 For almost three decades STOMP has been wowing audiences all over the world with its unique blend of rhythm, movement, comedy and dance. A theatrical experience for the whole family like no other, STOMP is the event that has shown the globe that even the most ordinary objects like plastic bags, bin lids, brooms and even the kitchen sink can be brought to life in extraordinary ways.